It is with a great deal of excitement, a lot of sadness, and a mixture of fear that I enter into retirement after 33 years of service with the Thunder Bay Public Library. I love the Library. It is a great place to work. Maybe I’m biased but the staff there are a great group of people, dedicated to providing the best experience for our patrons. These people are like family. Leaving behind something that was such a huge part of my life is going to be very difficult. I feel like it is part of my identity. It will definitely create a void that will need to be filled both financially and psychologically. I have put together a number of titles that I found helpful in my quest to define what retirement is, and what it will all mean. Let’s talk money. It’s too late to start planning and saving. I’ve done that already. But will it be enough? I’ve spent years focused on the accumulation of assets and now it’s time for decumulation. In Retirement Income For Life, author Frederick Vettese details a five step plan designed to make your money last. Interestingly, he does not believe that a person will need 70 percent of their current working income to survive in retirement. What a relief, because if this is true I’m in big trouble. He also points out that you will need more money at the start of your retirement as this is when you are more active, so plan accordingly. Psychologically, people are scared to spend their money for fear that they will run out. Consequently, they do not live to enjoy it. He discusses government pension plans and when to take them, and the pros and cons of annuities. Still worried about money? Check out Smoke And Mirrors, Financial Myths That Will Ruin Your Retirement Dreams by David Trahair. Both of these books will help to determine if you are ready. To find out how well you are doing with your money, Sun Life has a really handy retirement savings calculator online. Just go to www.sunlife.ca , click on the magnifying glass, and enter ‘retirement savings calculator’ in their search box. I had some fun with it. Now might also be the time for the decumulation of stuff. If retirement is a reinvention of oneself, why not start with cleaning house. 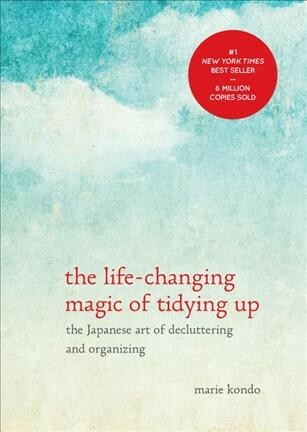 In The Life-Changing Magic Of Tidying Up, Marie Kondo states that ‘a dramatic reorganization of the home causes correspondingly dramatic changes in lifestyle and perspective’. Objects can have a way of holding you to the past. This book actually gave me permission to get rid of some of the stuff I was holding onto but was scared to let go. Periodically, throughout life, one will wonder, what does it all mean? With retirement looming, this question has come up in my life yet again. 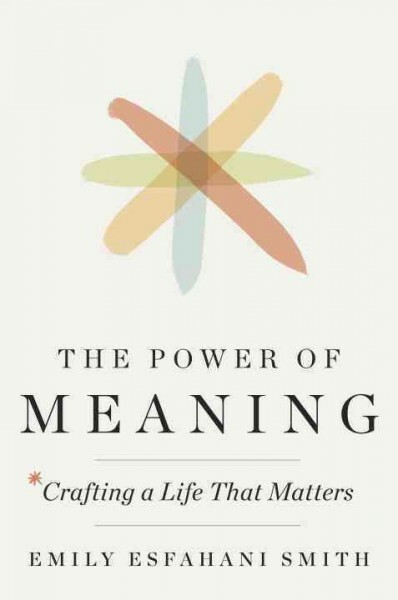 The Power of Meaning, Crafting a Life That Matters by Emily Esfahani Smith explores the question of purpose. Using research from psychologists, sociologists and philosophers Smith has identified the following contributing factors. They are: Belonging, or a connection to others. Purpose, or having a goal big or small that motivates. The act of storytelling; how we relay something so that in the telling we can make sense of it. Transcendence, or realizing that we are a smaller part of a bigger whole. And finally, growth through adversity. What I took away from this book is that it is the small things that have meaning and define my life. Purpose does not have to be a result of a life changing epiphany. Just as in your career, retirement takes reflection, planning and implementation. 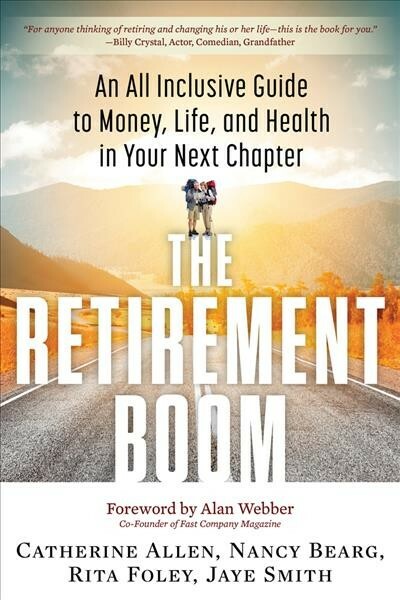 The Retirement Boom by Catherine Allen contains a little bit of everything you will need to consider in retirement. It touches on the topic of making your money last. There is a chapter on how to navigate being home with a spouse or partner full time. Yikes! There are ideas on what to do with all of your newfound time, health tips, and leaving your legacy. Watch out for the retirement robbers. Whether it’s from an external source-help! I need a babysitter, or internally, why do it today when I can do it tomorrow (which never seems to happen). Are you thinking about retiring? It may be the end of one chapter but a whole new beginning is there for the taking. Go forth and write your next chapter and enjoy. Michelle Paziuk , formerly with the Thunder Bay Public Library (www.tbpl.ca). If you have a comment about today’s column, we would love to hear from you. Please comment below!